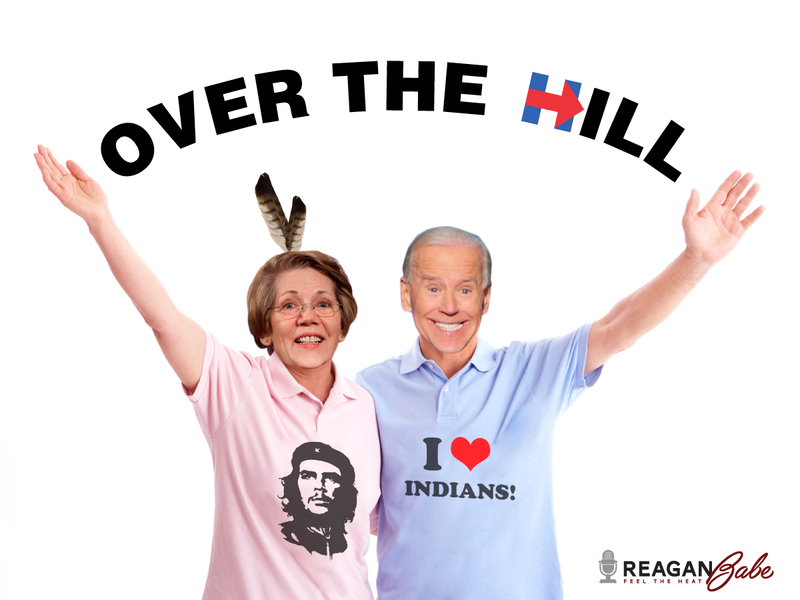 Biden continued to work through his grief this past week by meeting over lunch, once again, with Elizabeth Warren, at the Naval Observatory; and only a few days after another private meeting with Richard Trumka, presidential advisor and socialist fat cat of the AFL/CIO. Labor unions are the bread and butter to democrat candidates and officials, and due to the fact that the AFL/CIO hasn’t endorsed Hillary or Bernie, there are tens of millions of dollars lying on the table for the future redistributionist in chief. But, perhaps the plagiarist from Delaware and the liar from Massachusetts were sharing their vast Indian experiences? Due to Joe’s racist, off-color, apolitically correct comments, Elizabeth may have offered him a peace offering– her plagiarized Cherokee family recipes published in the Pow Wow Chow Cookbook. Since Joe believes that life begins at conception, maybe Elizabeth was reminding him that the DNC advocates for abortion on demand and can use “less crunchy” procedures. A free Lamborghini in every pot! With the FBI now publicly admitting to their criminal investigation of Hillary Clinton’s server, along with her upcoming October 22 Benghazi hearing, maybe Joe and Elizabeth were plotting and strategizing their dual announcement for the 2016 presidential election? I live in Vegas. I will bet on the latter. Since that time, and in direct relation to Hillary’s plummeting poll numbers and server scandal, Joe has been on the go in the name of Beau. He has appeared with Stephen Colbert on the Late Show; met and marched with Richard Trumka at a labor day parade; and has had several private meetings with DNC mega-donors across the country. My piece entitled, “The Democrats Need a Plan B,” published on August 25, 2015, details the BFD related to Joe’s supporters and his “don’t call it a campaign” 2016 presidential campaign. Many of these mega donors are growing weary of Hillary and have referred to her campaign as a side show and many of these donors are worried. Obviously, the DNC, not the RNC, has major problems in this primary: two socialists at the top of the ticket–one under a criminal investigation and the other an admitted socialist who fills stadiums with his promises of free “stuff.” The DNC cannot nominate an admitted socialist. Why openly adopt a socialist platform when you can hide behind the progressive caucus,or presidential executive actions, or activist bureaucracies and judges who continually violate constitutional construct, intent and law? With the DNC in an identity and messaging crisis, and their favorite wedge issue of abortion falling out of the mainstream of the electorate, there are many blue dog democrats and independents who are to be redistributed in this election. The “Eat the Rich” chants from Elizabeth Warren and her fellow comrades will beckon the Berners. Although, Elizabeth doesn’t have expensive taste when it comes to wealthy hedge funds managers who donate to her campaign. They stand to make millions if she is elected. Joe Biden and his devout, Kennedy-esque Catholicism and Elizabeth’s Warren’s socialist diatribes may make for a perfect recipe to win back those affected Democrats and socialist Independents. Yet, with all of the mystery surrounding his don’t-call-it-a-campaign campaign, another mystery still remains. How did the Cherokees make tomato-infused mayonnaise? I may have to go order a copy of Pow Wow Chow. Thanksgiving is around the corner.